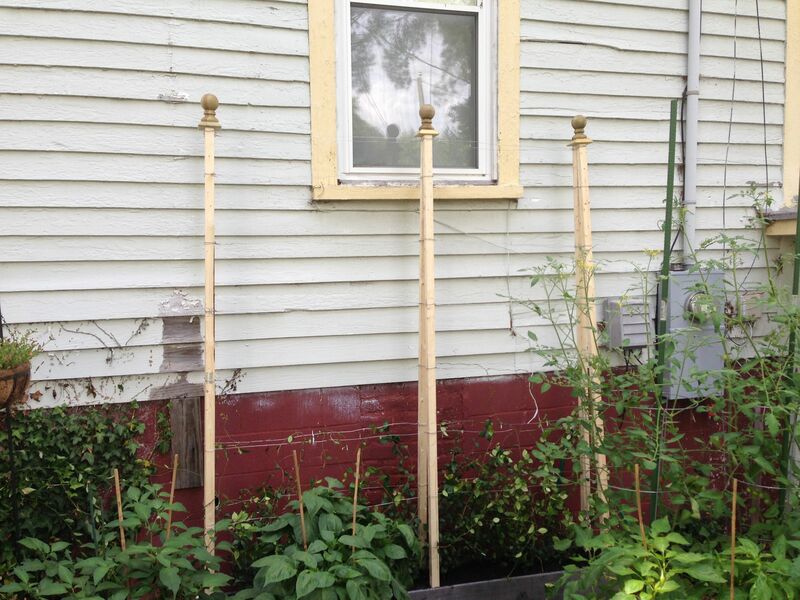 This past Sunday I built a new trellis over one of the original raised beds I constructed a few years ago. This raised bed has always had problems due to its location, which is under the eve of the house and close to the foundation wall. We decided perhaps the best thing to grow in it should be a hearty vine type plant. 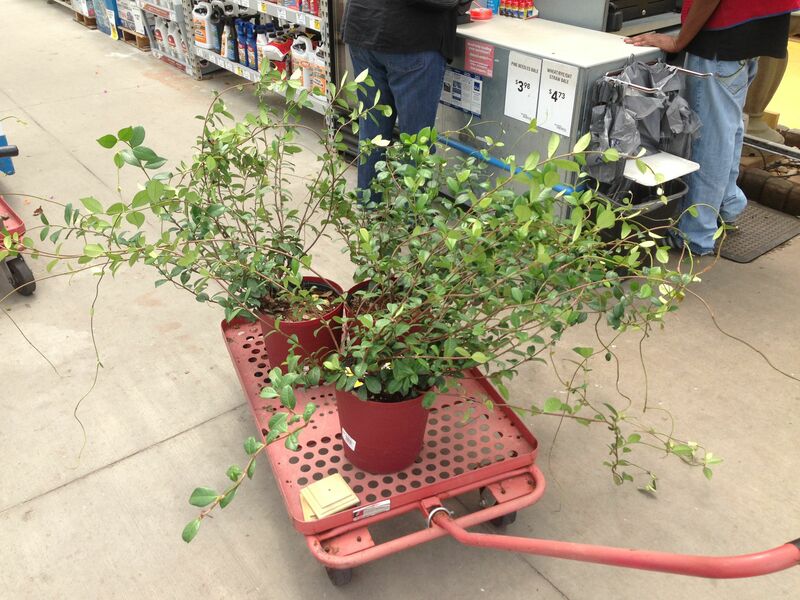 So we decided on Confederate Jasmine. The aroma from Confederate Jasmine is… intoxicating. 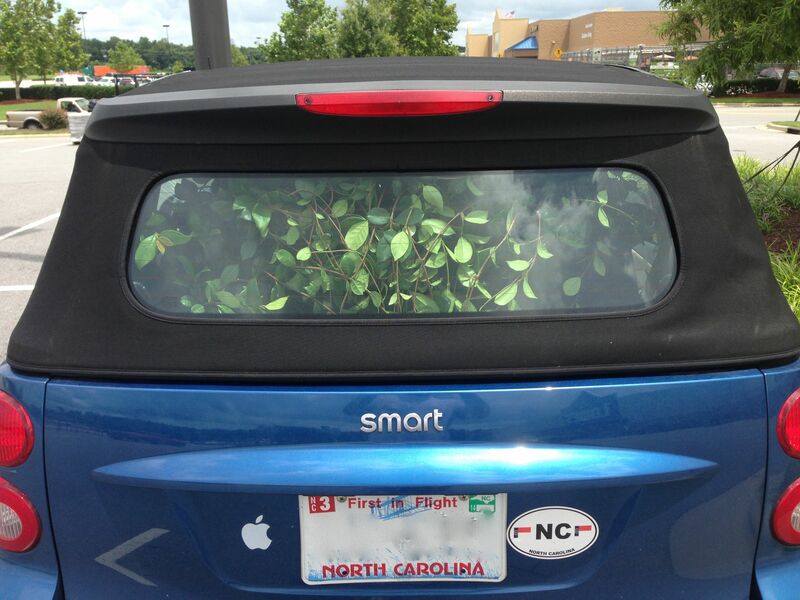 Jasmine stuffed into the smart car, which then proceeded to attack us while driving down the road! As I once stated this house is in major need of repainting and since I don’t own it, it’s not happening. 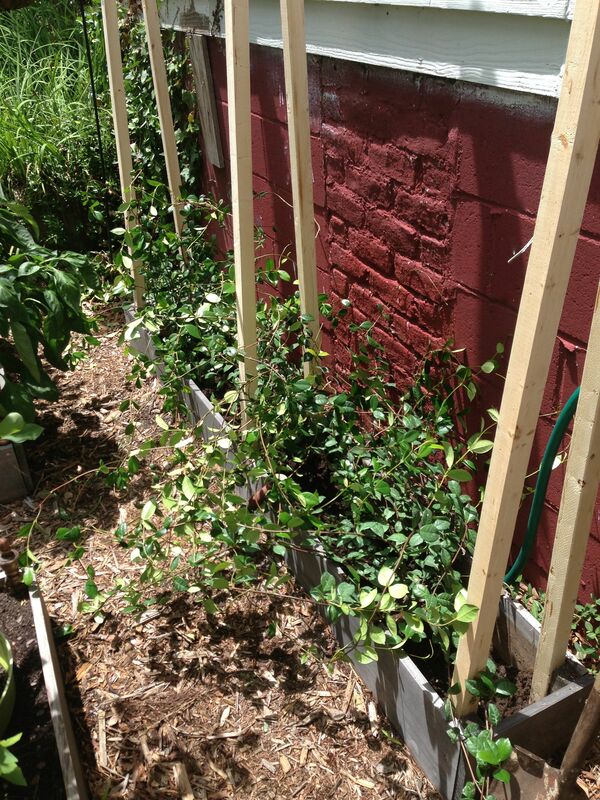 I am hoping the new trellis, which stands eight feet tall will be completely covered in Jasmine this time next year. Yeah, wishful thinking, but I have hope! 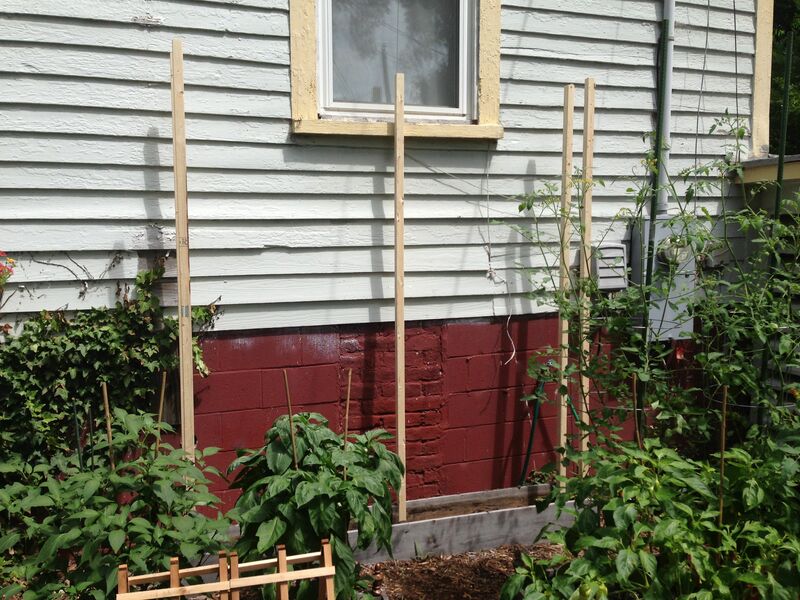 This trellis mainly consists of 2x2x8 posts. 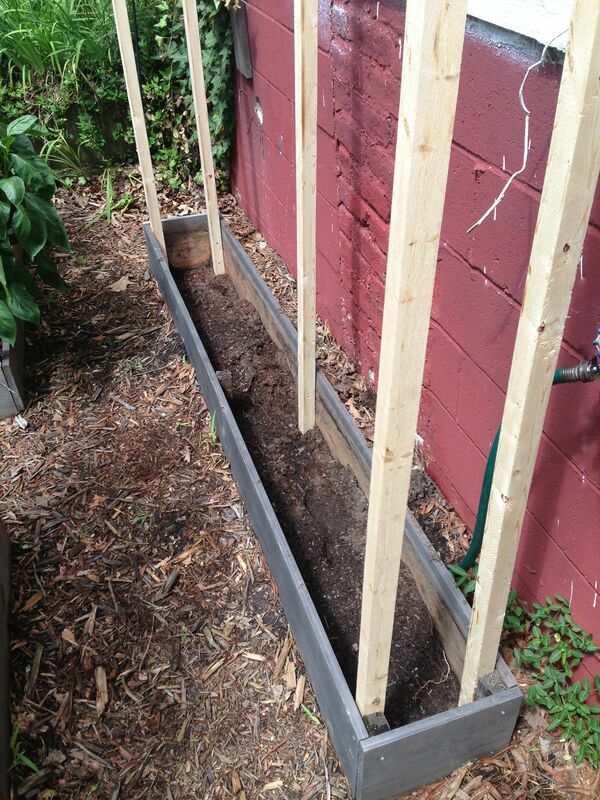 They are attached directly to the small raised bed. 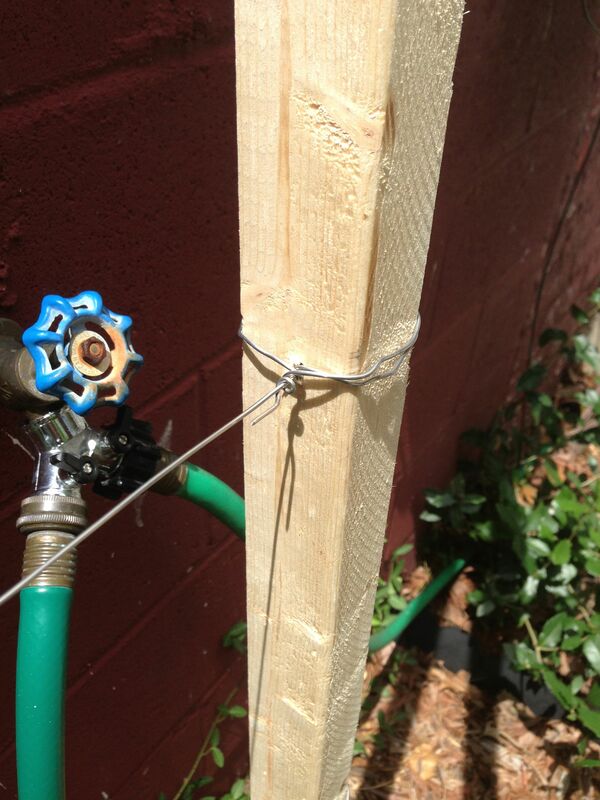 A simple fence post topper is screwed into place while squeezing the two posts together. 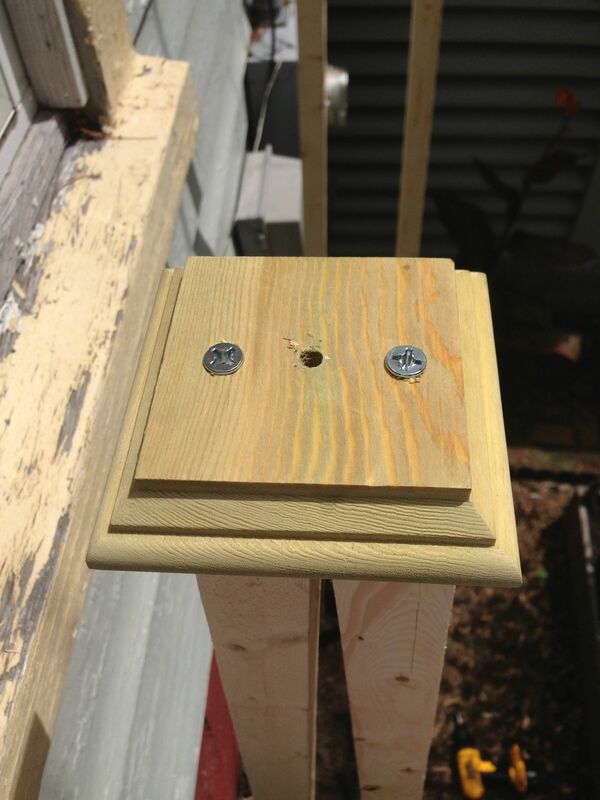 The middle hole is for a colonial style fence post decoration. After the posts were secured and the fence post toppers added I drilled holes at equal distances up the length of each post so that I could run galvanised wire through, which is for the vines to climb. I planted the jasmine first before running the wire because I wasn’t sure I would be able to get them in place afterwards. It doesn’t look like much now, but perhaps by the end of the season they will have grown a little higher. Already there were quite a few long vines that I was able to weave through the wire. I have high hopes the jasmine will grow to the top and completely cover the trellis providing a wonderful back drop to the vegetable patch. As I stated before the aroma is intoxicating and will fill the garden attracting bees and butterflies.